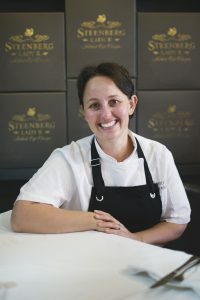 Warm up with Chef Kerry Kilpin’s exciting seasonal creations and excellent winter value at Bistro Sixteen82, Steenberg’s beloved cellar door restaurant in Constantia. For an indulgent lunch of neo-bistro comfort food, there’s a special Hearty & Homely Menu to keep you fuelled from Monday to Friday, 2 May till 30 September 2019, excluding public holidays. From R230 for two courses, R265 for three or R295 for a four course meal, this is winter value at its best. Chef Kerry’s lip-smacking trio of starters, mains and desserts, give you ample to choose from. The broccoli & roasted onion soup, pickled fish, and goats’ cheese panna cotta come with delicious salsas and exotic twists. 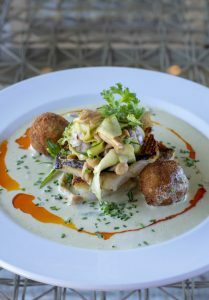 The mains of sustainable fish fritters, line fish, pulled beef & ricotta gnocchi, and a risotto of the day are enriched with great depth of flavour. 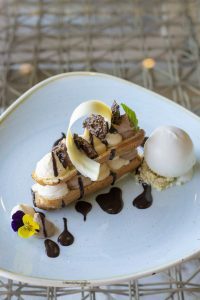 The dessert line-up is a choice between a dreamy yoghurt mousse, a delicious chocolate choux, or rich caramelised apple bread & butter pudding. The Vintner’s Breakfast is another fabulous Bistro Sixteen82 winter offering. This special breakfast for wine lovers includes a glass of Steenberg bubbly with your choice of signature classics on the breakfast menu including Chef Kerry’s famous eggs benedict, as well as tea or coffee. The Vintner’s Breakfast at R195 per person is available Monday to Saturday until 31 October 2019 from 09h00 and ends with a classic wine tasting and cellar tour at 11h00. 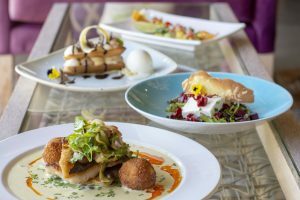 The chef’s special Tapas Menu Selection of five tapas dishes for R325 for two people sharing is ideal as an early supper every day of the week between 17h00 and 20h00 until 30 September 2019. This is the perfect after work indulgence with your choice of top notch Steenberg bubblies and wines. Bistro Sixteen82 is open seven days a week. The Vintners Breakfast and Hearty & Homely lunch menu are available for tables of up to 10 people. To book, call 021-713 2211 or email reservations@bistro1682.co.za. Bistro Sixteen82 also offers a full à la carte menu as well as dedicated vegetarian, vegan and children’s menus. 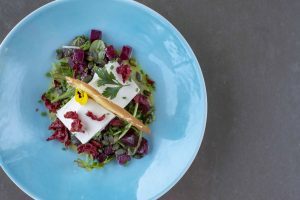 For more information visit www.steenbergfarm.com/bistro1682 and follow @bistro1682 on Twitter, or Steenberg Farm on Instagram and Facebook.